Drill a design with an award winning creative activity kit with a realistic sounding power drill! Children will love using the whirring reversible drill to attach the chunky coloured bolts to the activity board whilst matching the pattern on the design cards. Or using the chunky wrench or screwdriver to remove the bolts and start again with another design. 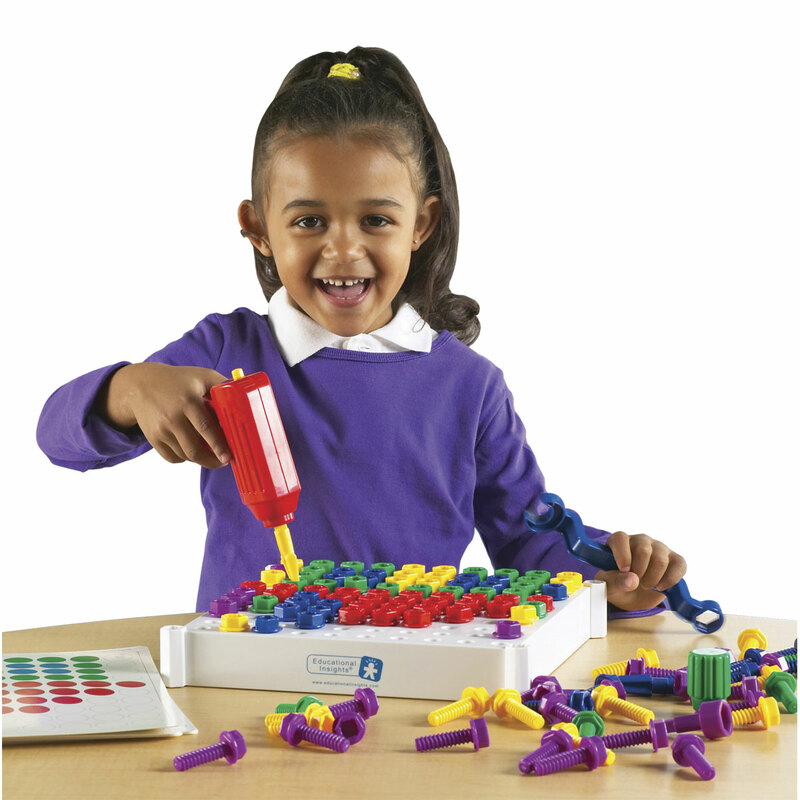 Great play value but also develops fine motor skills and hand/eye co-ordination. Contains - battery operated authentic sounding drill with 3 different drill bits; wrench; screwdriver; 120 large plastic coloured bolts; activity base board with 100 holes and 20 design cards. 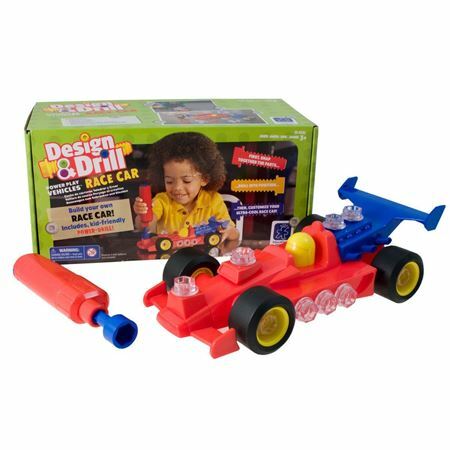 Build a race car, with snap together parts and then use the battery-operated drill to screw the bolts into place – ready to customise with stickers.